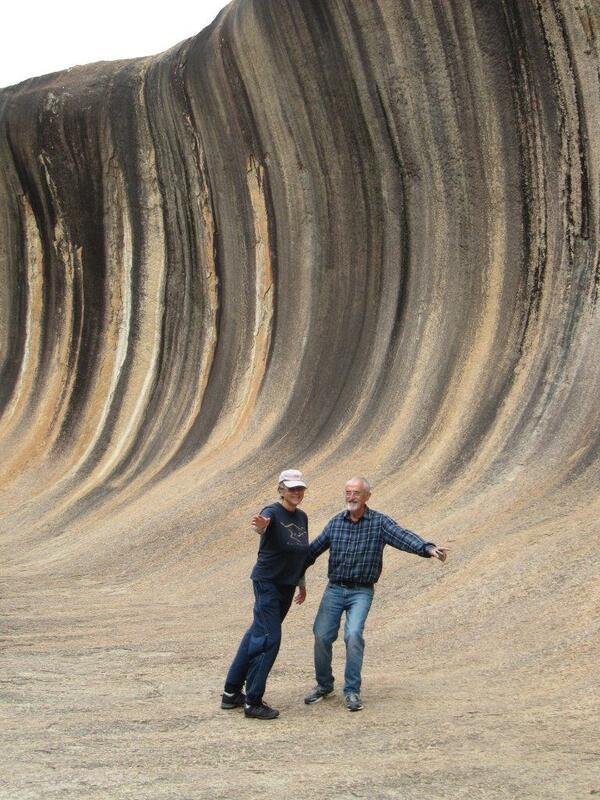 Bob and Laurel, selfie at Wave Rock, Western Australia. We maintain a private mailing list to communicate with people who attend our house concerts as we need to know how many people are coming and you (the audience) need to know how to find us. If you would like to contact us to get on the mailing list for our house concerts and other gigs, fill in the form below and remember to fill in the spam filter code at the end which protects this website. For our part, we don’t sell or share your contact details with anyone else and always use bcc when sending bulk emails. If you are interested in Bob Wilson’s weekly column, Friday on My Mind, you can use this contact form to have it sent to you or visit www.bobwords.com.au to see if it’s your cup of tea. This website is the latest incarnation of a site first established in 2001. All written content is by Bob & Laurel Wilson apart from extracted CD reviews. Photos on this website were taken by Steve Swayne unless otherwise stated. The right song for our times. Bernice.